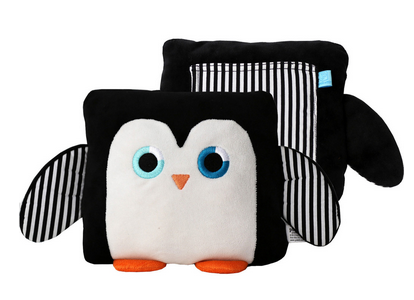 Meet Poketti, the too-cute stuffed animals with pockets designed by Sydney when she was in seventh grade. 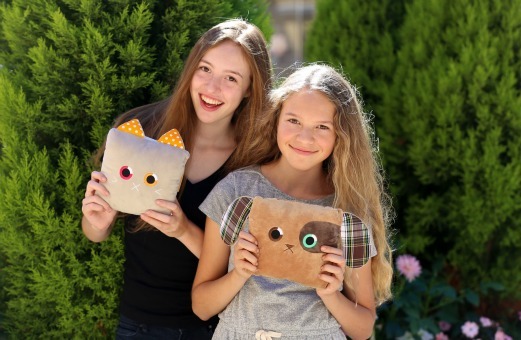 "I took an entrepreneurship class and we had to create our own products, so I came up with little animal pillows with pockets," she said. "I always lose my phone in the morning, so I thought it would be convenient to have a pillow with a pocket where I could store it—and people loved the idea." Sydney soon realized her biz idea had serious potential—and with the help of her sister and parents (both designers), Poketti was born. After carefully designing the four original Poketti, though, the family realized they were going to need some help. 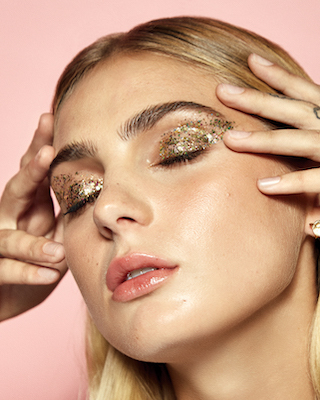 "We decided to start out on Kickstarter, because it's a really great crowd funding website and a good way for us to get our name out there," Sydney said. "Plus, manufacturing is really expensive." Several months later, 20,000 Poketti arrived at their door. And since that day, it's been a serious learning experience for the whole family. "We've gotten to learn so much about sales, manufacturing (it used to take us 30 minutes to make one Poketti!) and getting our product out there," said Sydney. The best part? All that hard work has definitely paid off. "This past summer we went to Atlanta and received an award called the Icon Honor for our branding and identity," said Sydney. "It was so amazing to meet and see experts in the industry." As for their advice for other young entrepreneurs, Sydney and Toni were more than happy to share their expertise. "I think our biggest piece of advice for others would be to always be confident in yourself and to not be afraid to take a risk with your ideas," said Toni. "And always be prepared! Having your product on you at all times is so important. You have to be prepared and ready for anything." What's the biggest business risk you ever took? Have you ever invented anything? Let us know below!